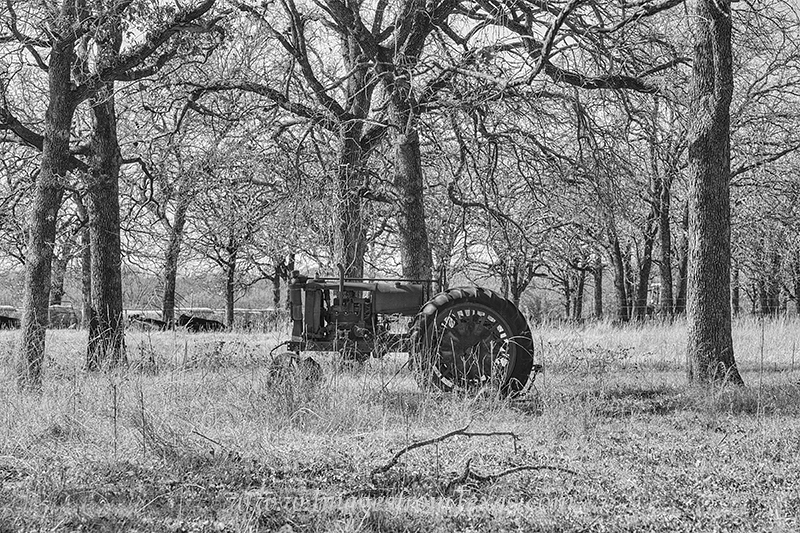 Pictured in this black and white photograph is an old tractor resting under pecan trees. Scenes like this are common along the backroads of Texas. If you look closely, there is a blank angus cow resting in the background. Photo © copyright by Rob Greebon.